SOAP is an XML-based protocol. The biggest advantage of using the SOAP Web Service is its own security. SOAP stands for Simple Object Access Protocol. 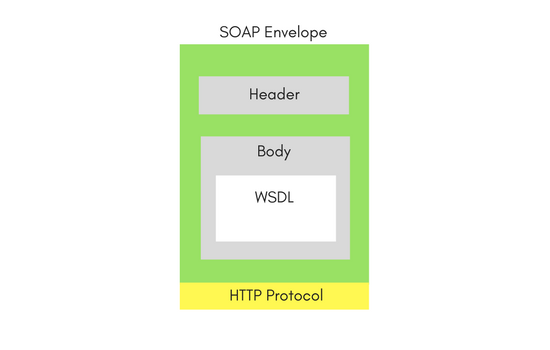 SOAP provides an envelope to send a web services messages over the Internet, using the HTTP protocol. The messages are generally in XML format. 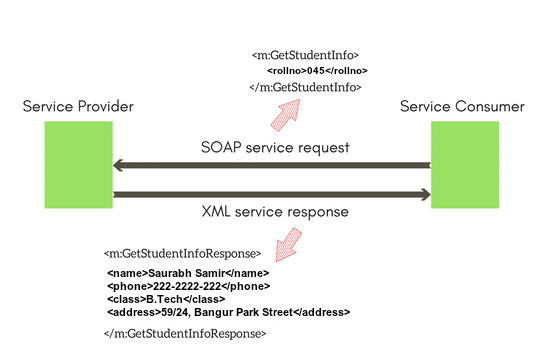 In simple words, SOAP is a technique to send an XML request over the Internet using HTTP protocol (hitting a URL), and in return getting an XML response. Taking a real world example, if a client wants to fetch a college's student data, by sending in the student's Roll No. in the request, he can do so using web services. But how will the client know, which URL to call and what to send in the request? Well, every application serving SOAP requests, has a WSDL file. WSDL is an XML, and it stands for Web Service Description Language. WSDL describes all the methods available in the web service, along with the request and response types. It describes the contract between service and client. SOAP was intended to be a way to do remote procedure calls to remote objects by sending XML over HTTP. If we look at the current software industry, you will find that, SOAP is being used in the enterprise applications, generally in the legacy code. Today the world is moving fast towards the RESTful Web Services. WSDL dependent: SOAP uses WSDL and doesn't have any other mechanism to discover the service. Unlike SOAP which targets the actions, REST concerns more on the resources. REST locates the resources by using URL and it depends on the type of transport protocol(with HTTP - GET, POST, PUT, DELETE,...) for the actions to be performed on the resources. 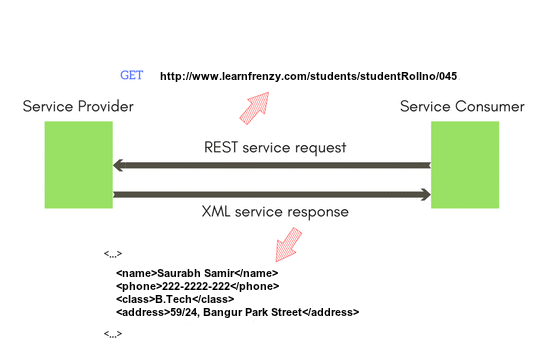 The REST service locates the resource based on the URL and performs the action based on the transport action verb. It is more of architectural style and conventions based. 2. The same service can also be used to update the student data, by sending in the new values as Form data in a PUT request.